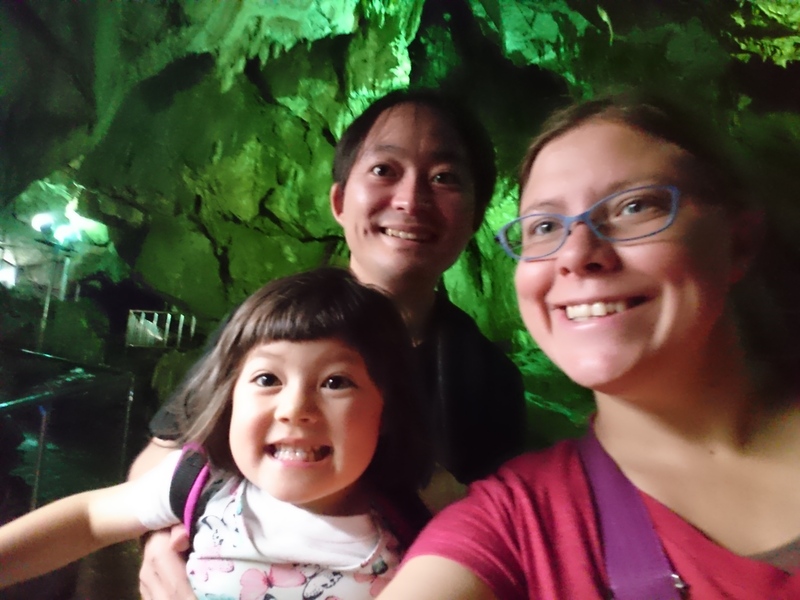 Looking for an escape form the hot, muggy city this summer? 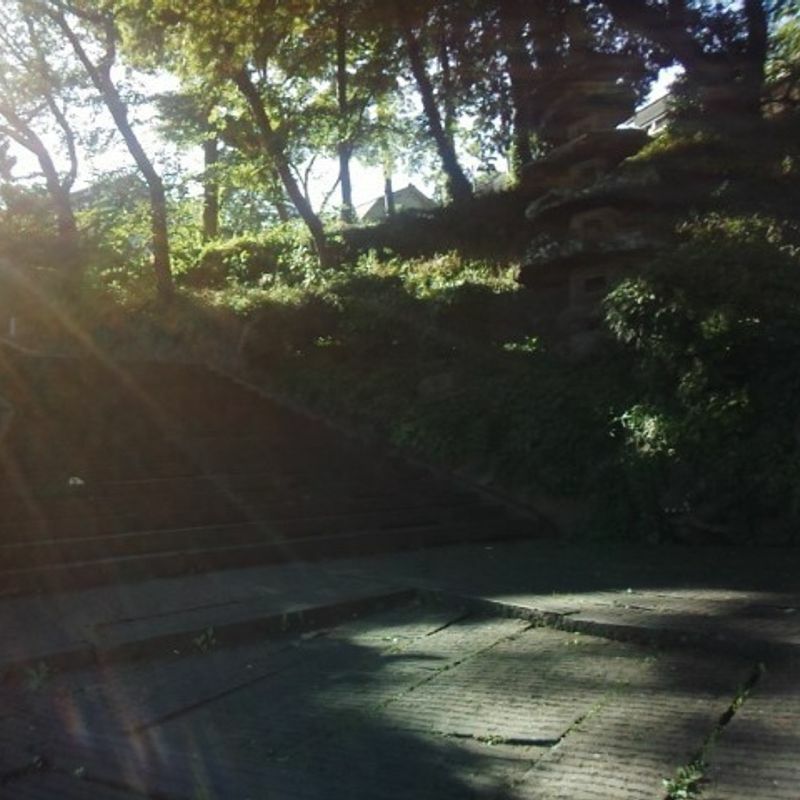 Come and see the beauty of Shiogama Shrine! 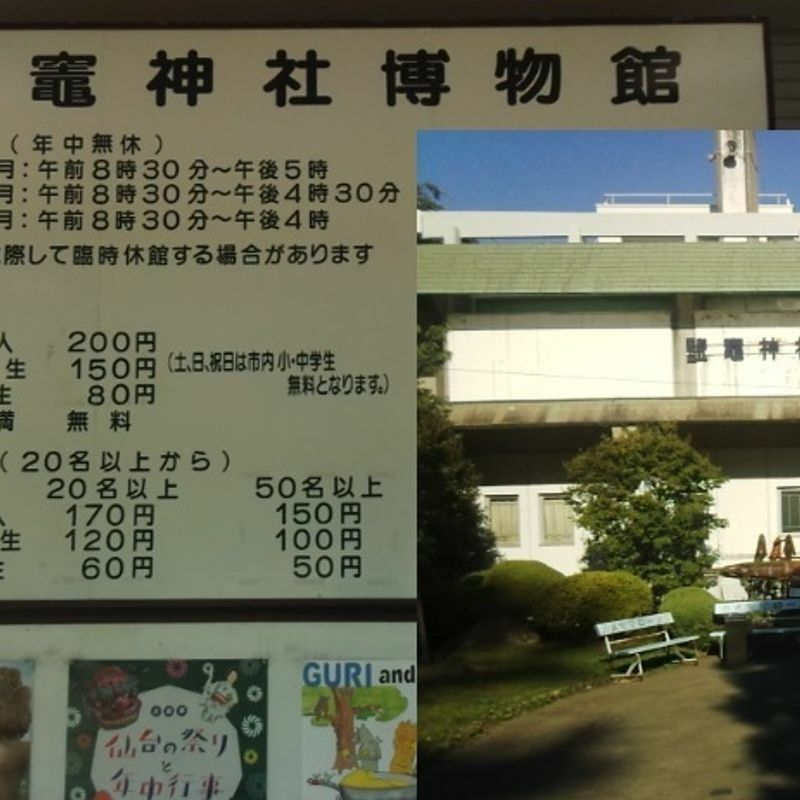 First, go to Sendai and take the Senseki like north to Honshiogama station (30 minutes, 320 yen). 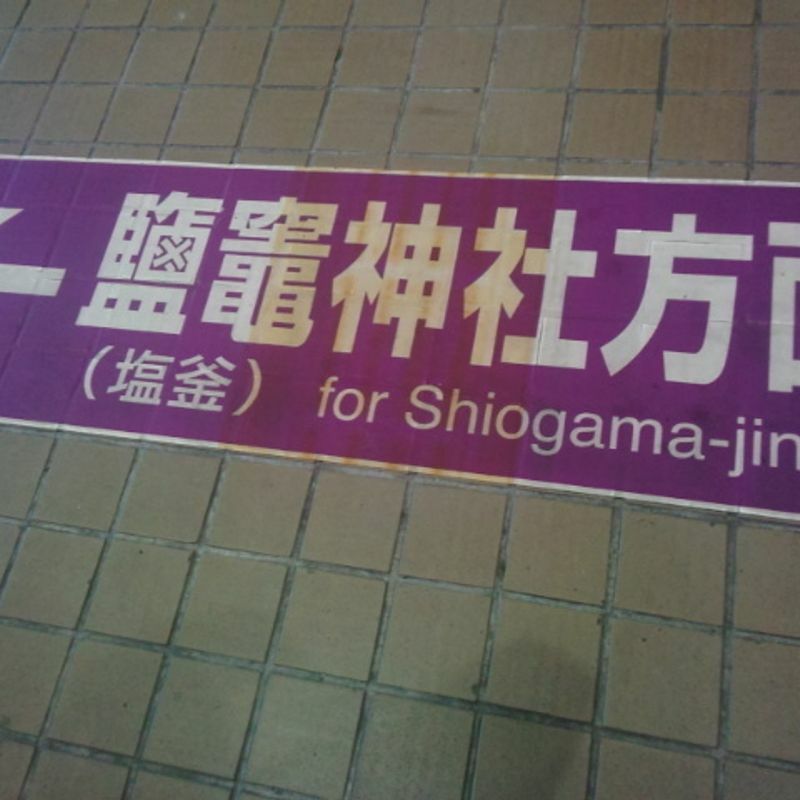 Then exit via the Shiogama Jinja exit, marked on the floor and at the door. 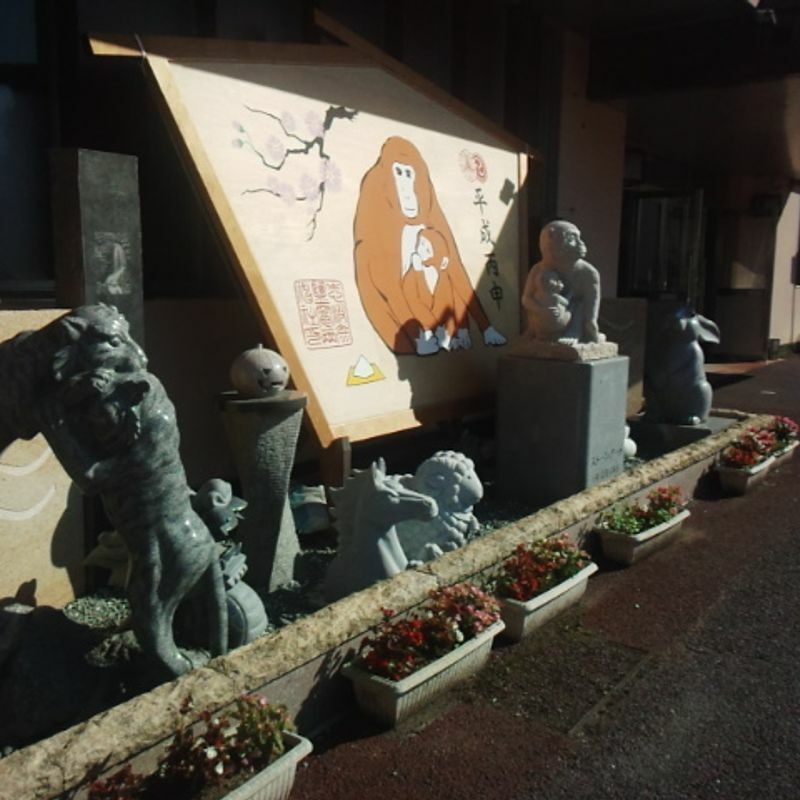 You'll see a small statue garden on the left, showcasing the talents of the stone cutters in the area. Every winter the zodiac animal for the following year is unveiled. I've no idea what's going on with the jack-o-lanterns, however. 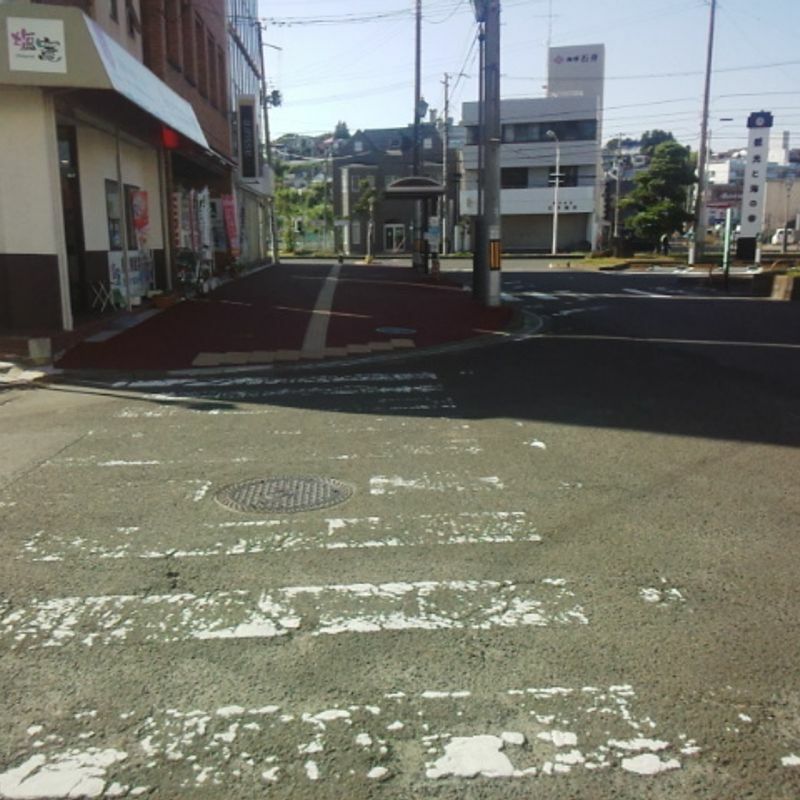 Walk past this to the nearest crosswalk and turn right. Cross here and walk toward the larger street. 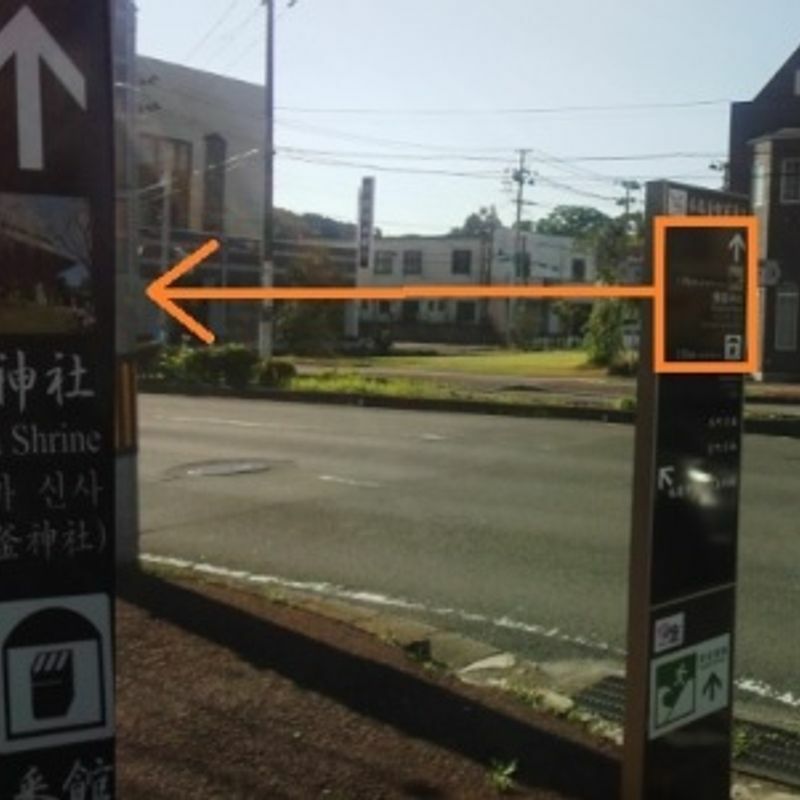 You'll see some signs pointing your way toward the shrine, many in English and with distances labelled. 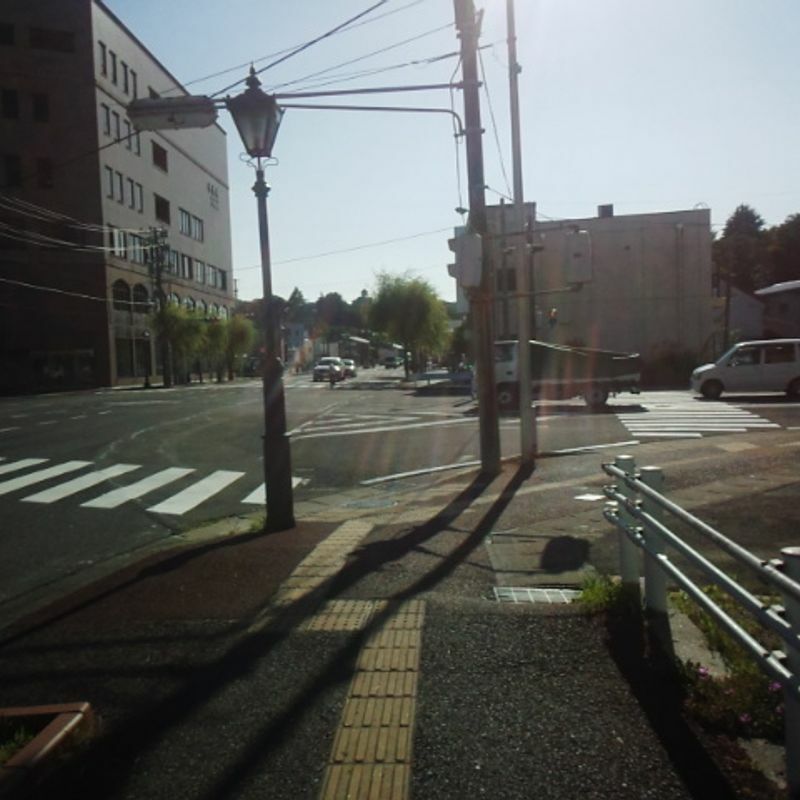 Turn left and walk along the main street to the next crosswalk. Cross right across the large street and go straight. 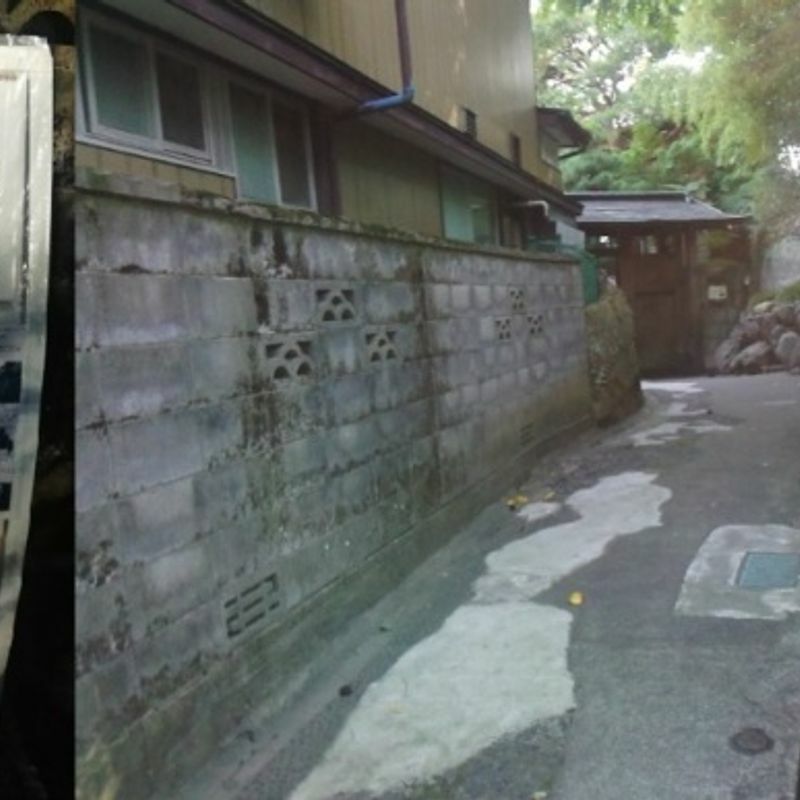 From here, walk straight for a bit, watching for signs of impending shrine. 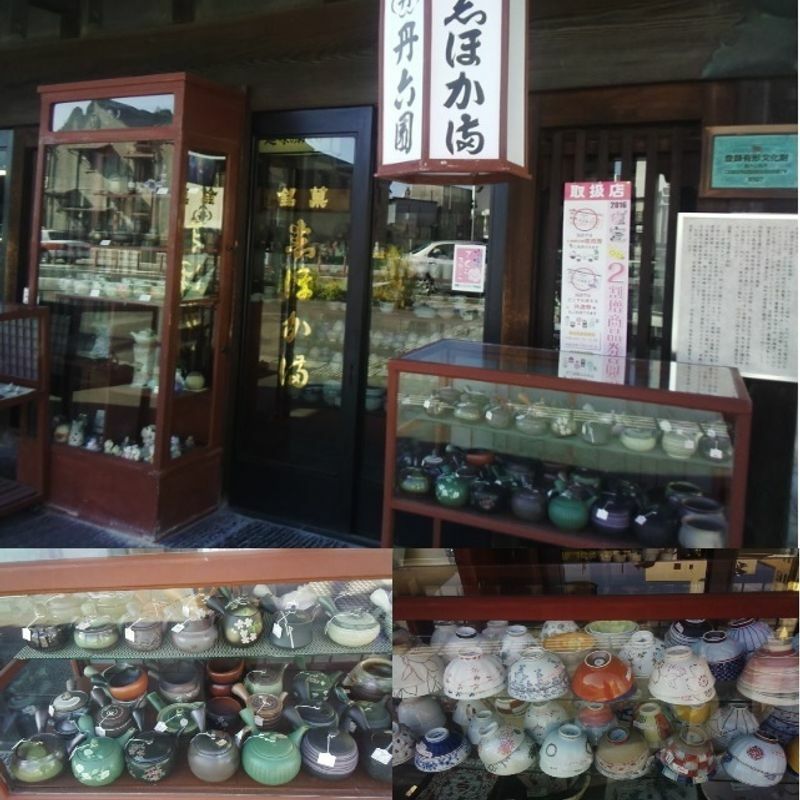 Also, if you're interested in a useful souvenir, you can check out this little pottery shop, which is a pretty cool and not too expensive place to pick up a new rice bowl or teapot. It was also recently recognized for doing business in this location for a significant amount of time. 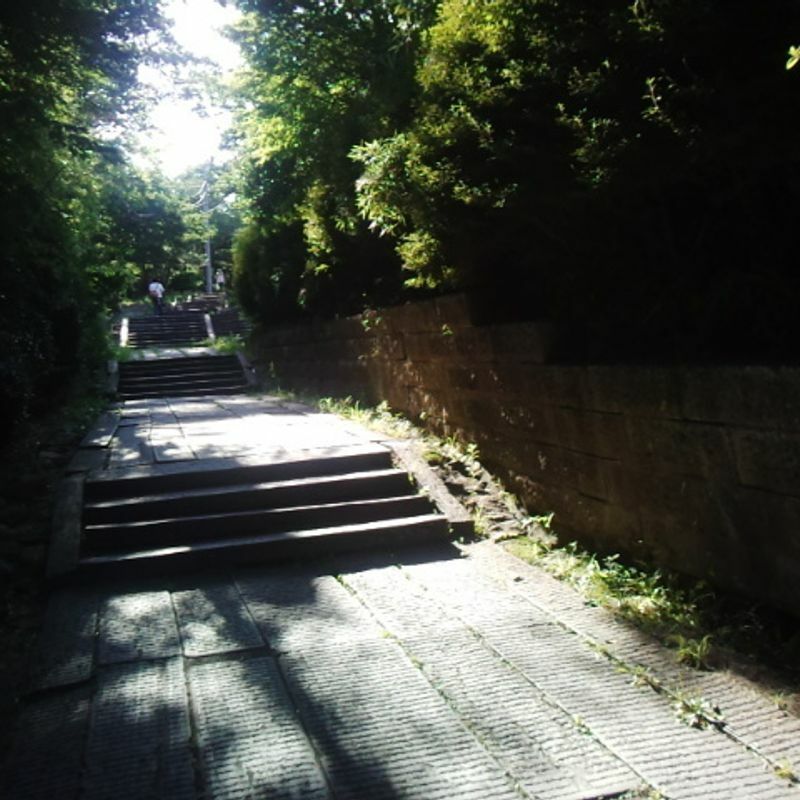 Proceed under the tori and to the stone steps that angle upward and to the left. 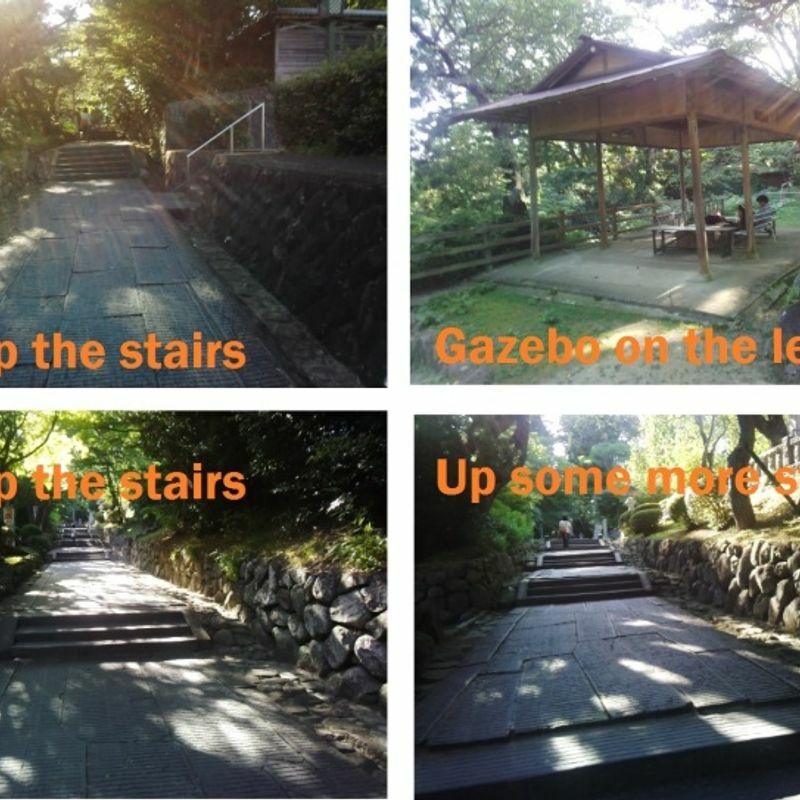 At the top of the first staircase, you'll find this little diversion to the left. 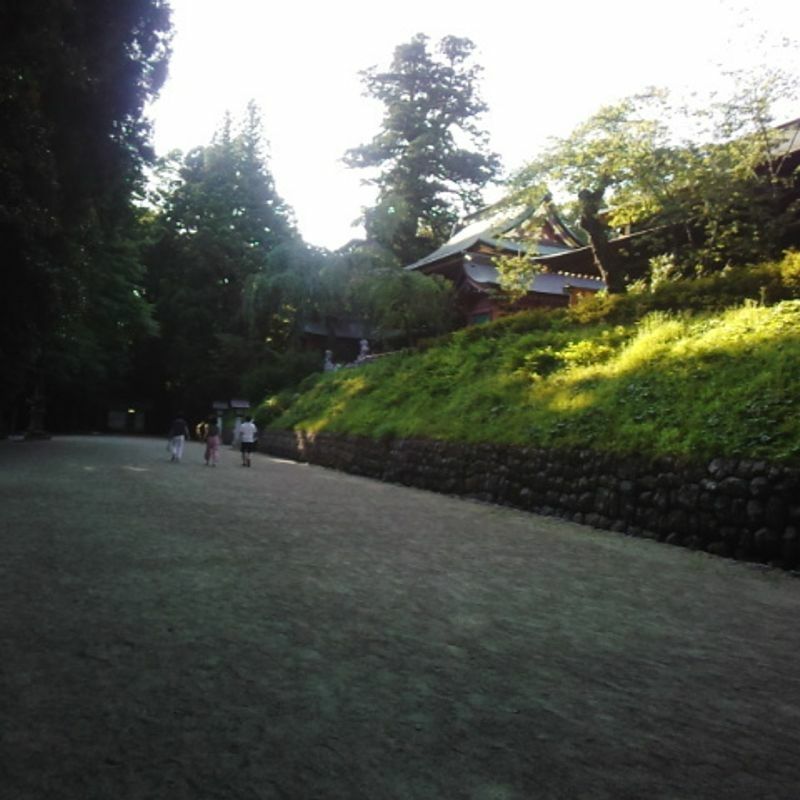 This path leads to a lovely little tea house and historical building where volunteers give tours during business hours. 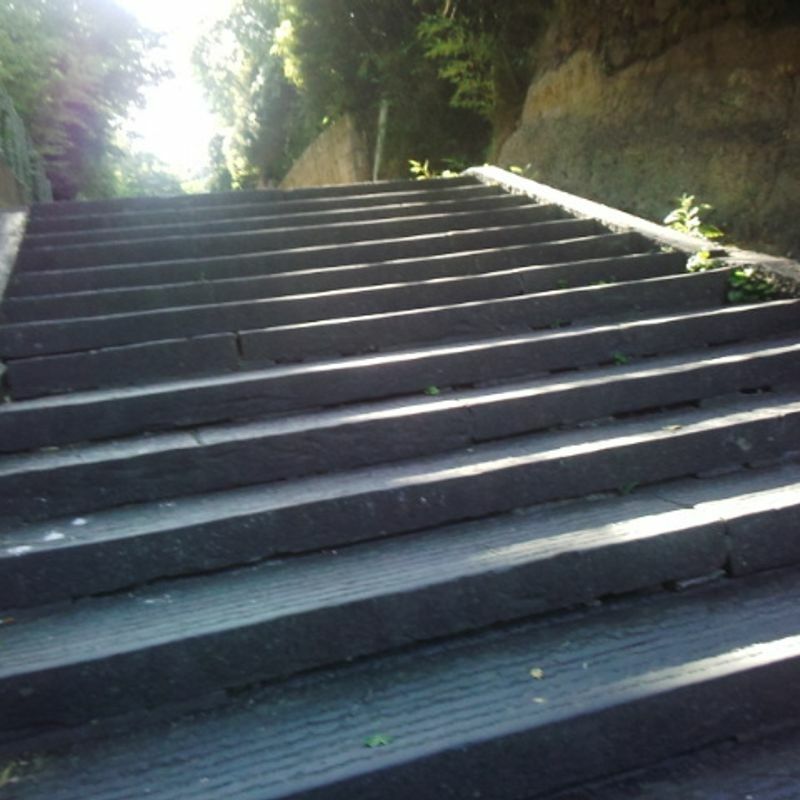 After this, get back to the stairway and continue up the many, many stairs. 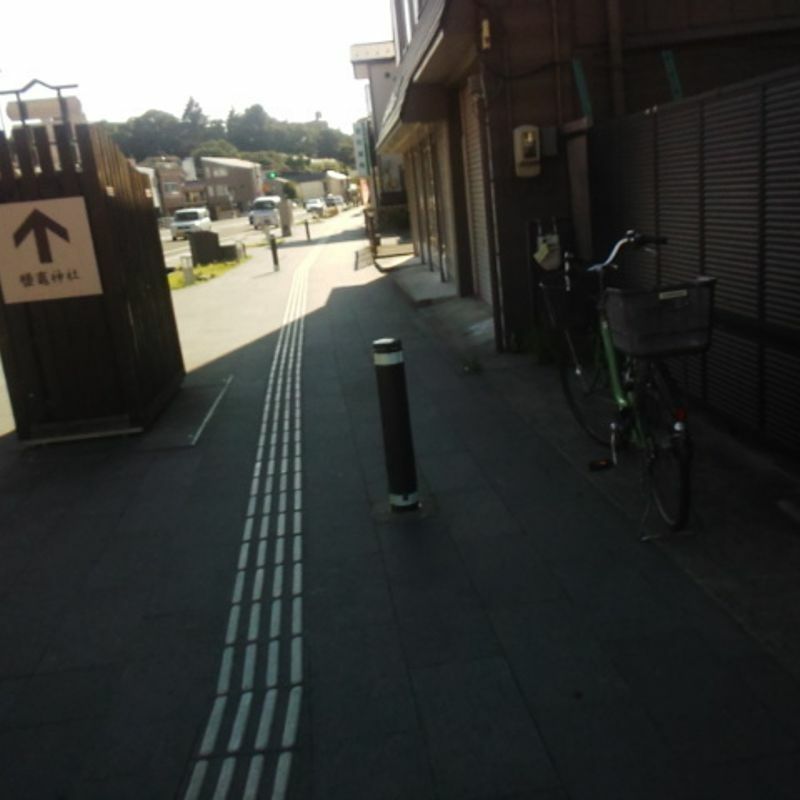 Eventually, on the left, you will see a small parking lot with vending machines and a bench or two. If you're feeling winded, feel free to take a break and grab something refreshing. Ready to go? Great! 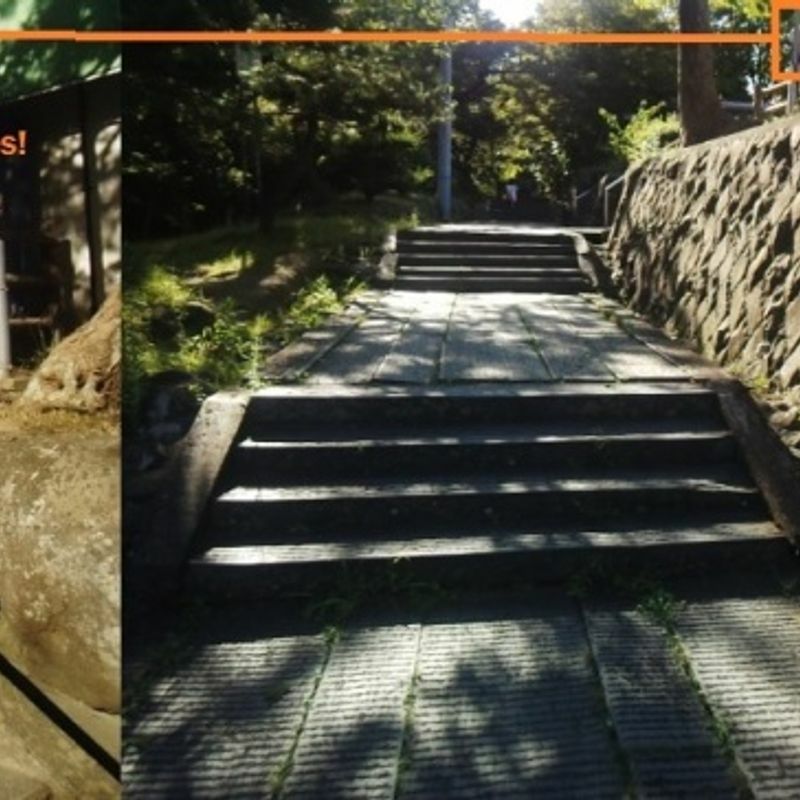 Get back to the stairs and continue up the path, and...yeah, basically just do that for a bit. 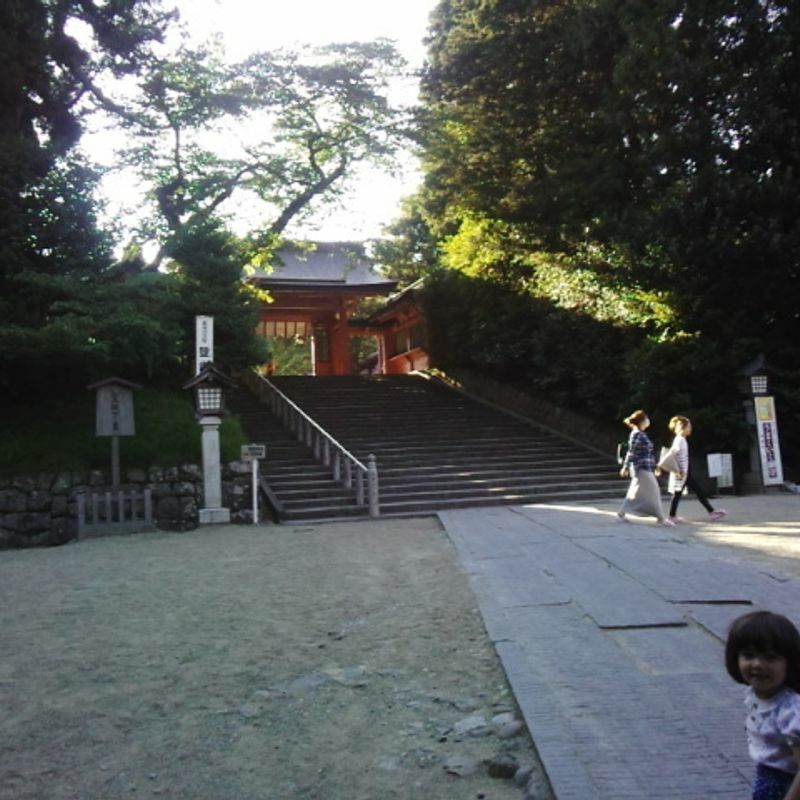 Closer to the shrine, you'll see a little structure on the left where you can sit down for a little rest if need be. 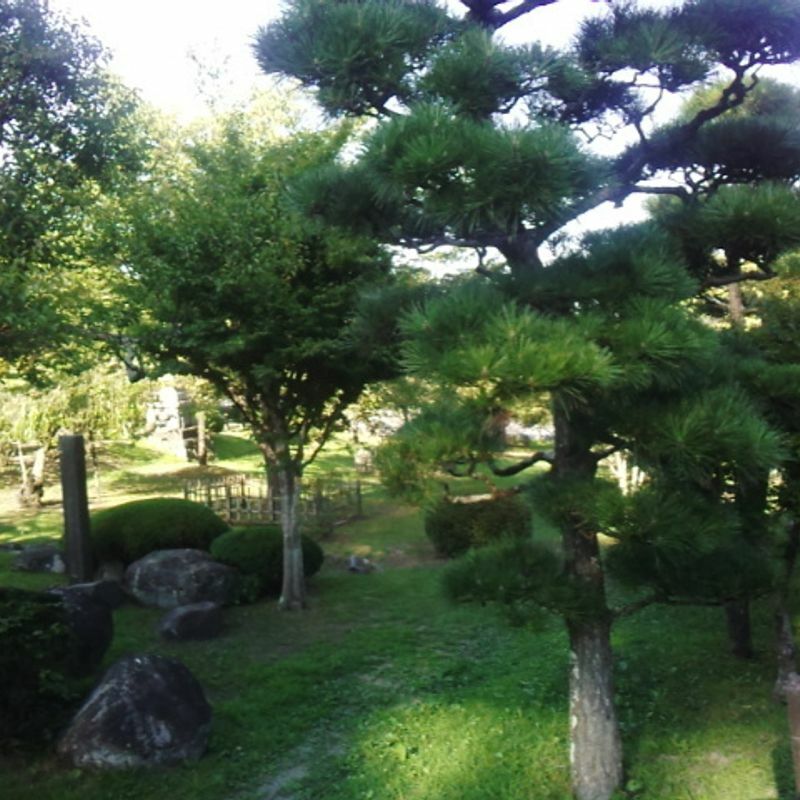 Pretty soon, you'll see some more tori coming up ahead of you and a small non-ceremonial building to the right. The little building is a small museum of maritime artifacts from this area. Not bad if you need to get out of the sun, but the English is limited. 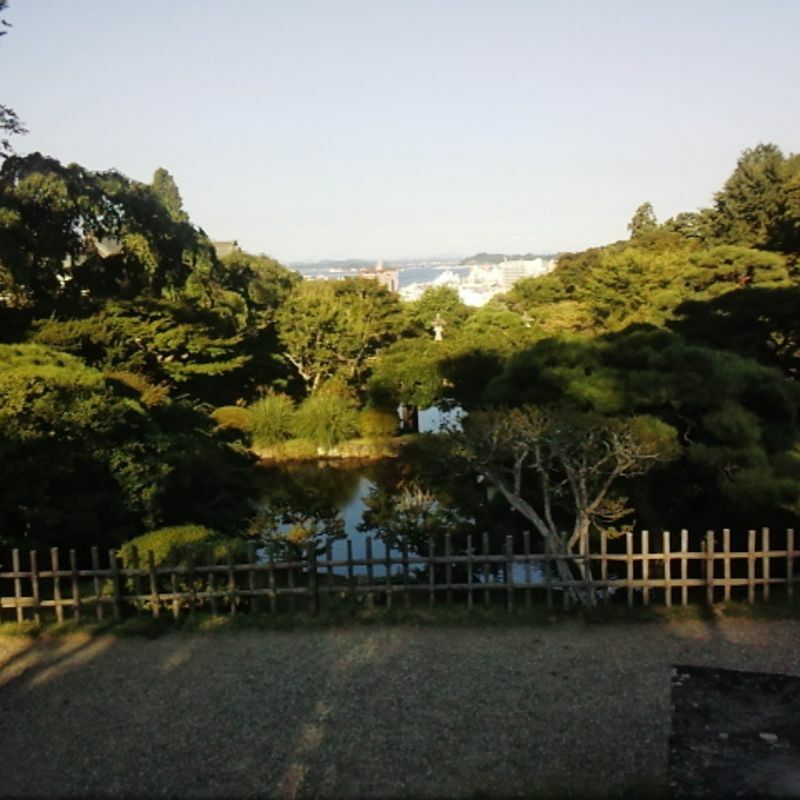 From here, you can explore the gardens at the shrine, take in one of the most beautiful views of the whole city, or even picnic in the hanami area, vacant but shaded in seasons without cherry blossoms. 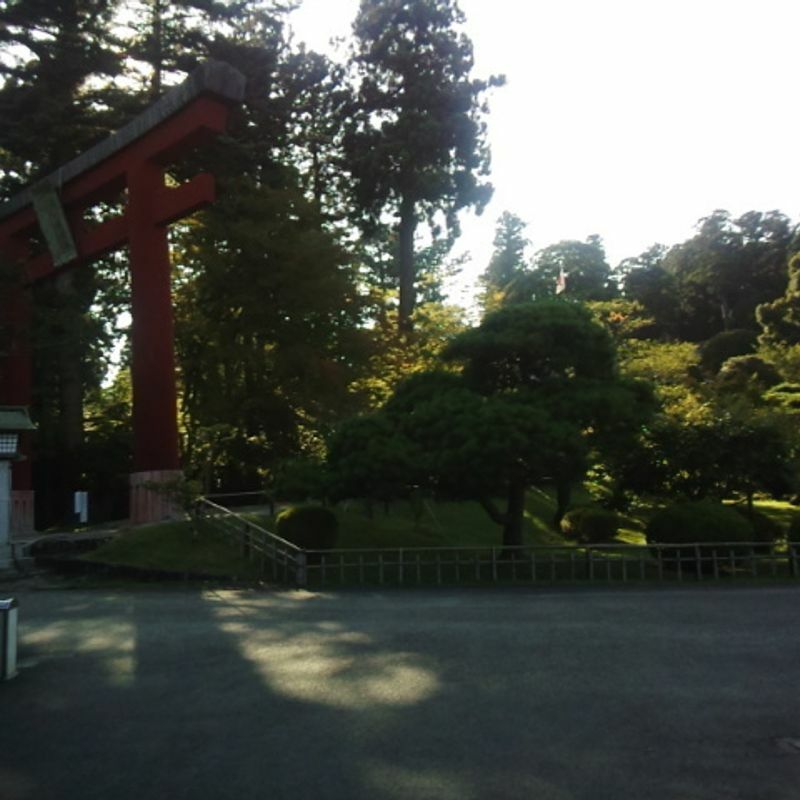 When you're ready to head into the main shrine areas, walk under the giant red tori and follow the path to the entrances. 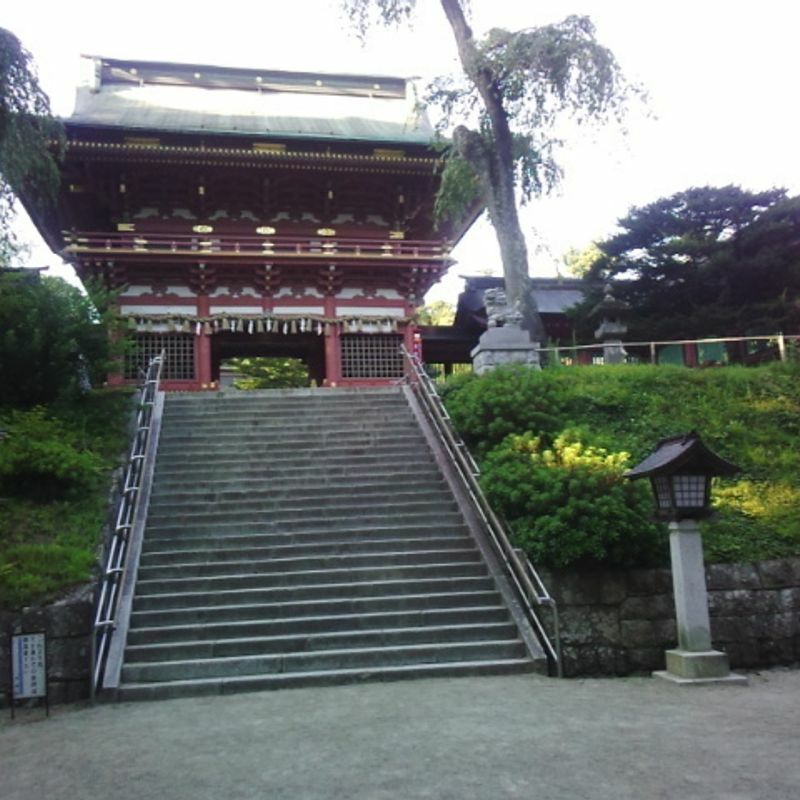 There are three separate shrine entrances. 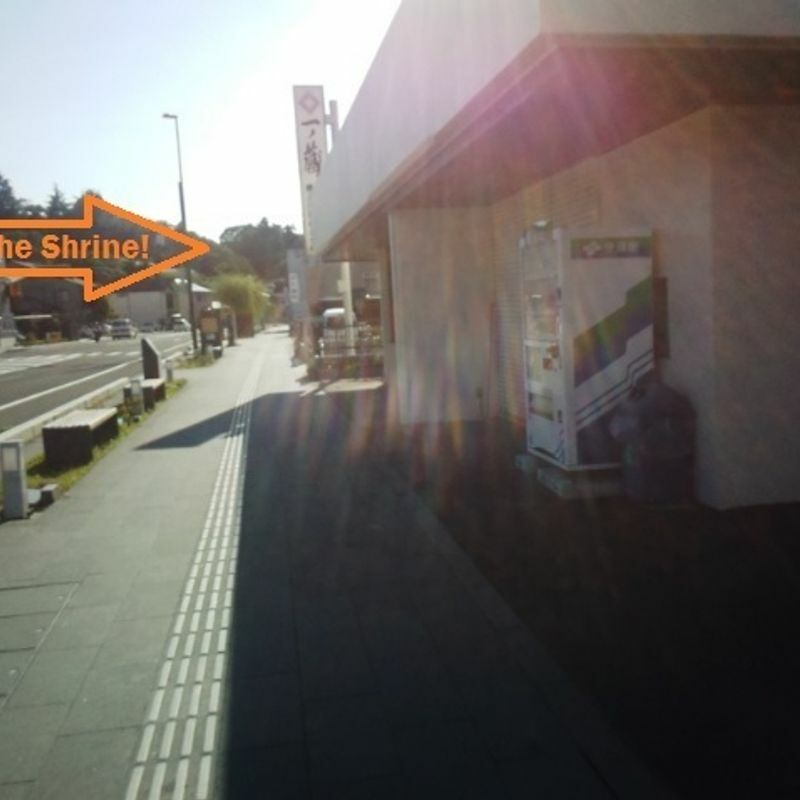 The first two that you come to each lead to its own shrine area, where you can pray the Shinto way (throw a 5 yen coin, ring a bell, clap twice, pray) or stop by one of the side buildings to buy charms and the like. 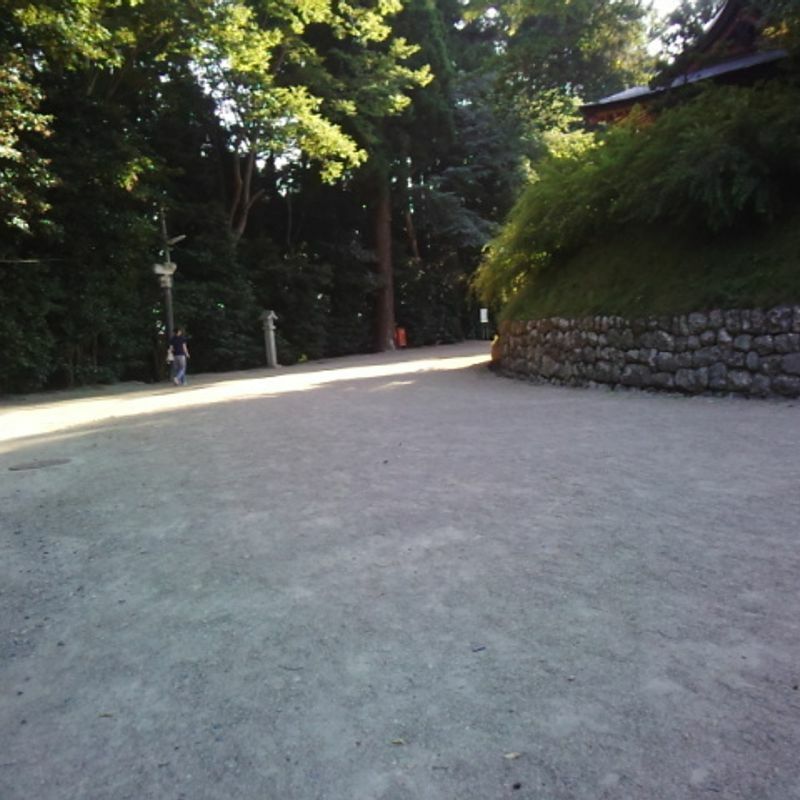 To get to the third entrance, follow the path around a bend. There it is! 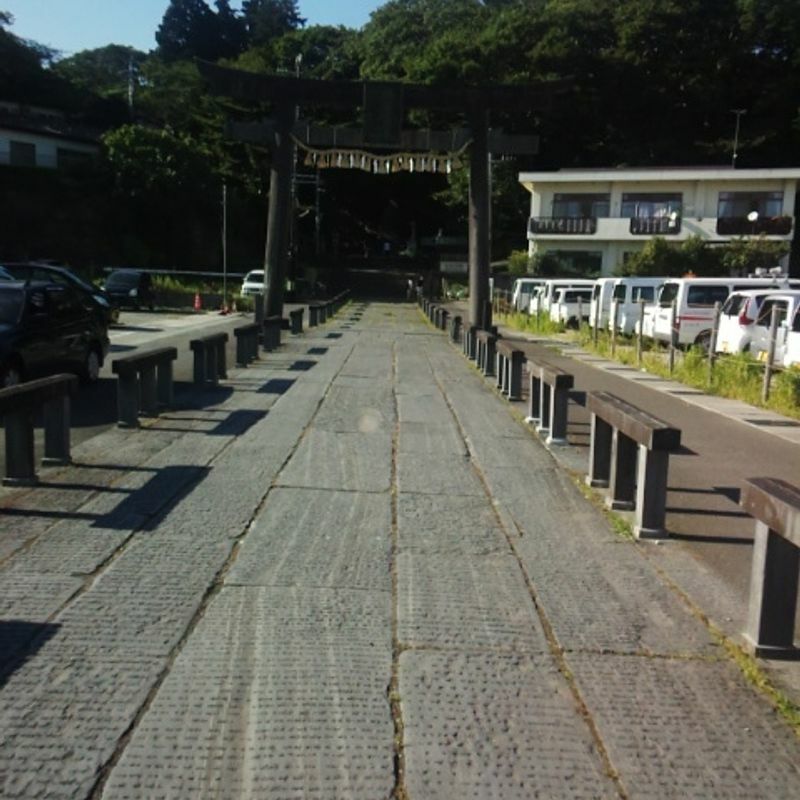 Beyond this entrance is the main portion of Shiogama shrine, featuring a larger area for purchases and two different praying locations as well as several hand-cleansing stations, small statues and more. The main entrance stairway contains more than 200 stairs (or at least that was our count on the way down), many of which have been worn by time and quakes. This can be treacherous to the less adventurous, especially in poor weather conditions. That is why I call my normal path the "easy" way. 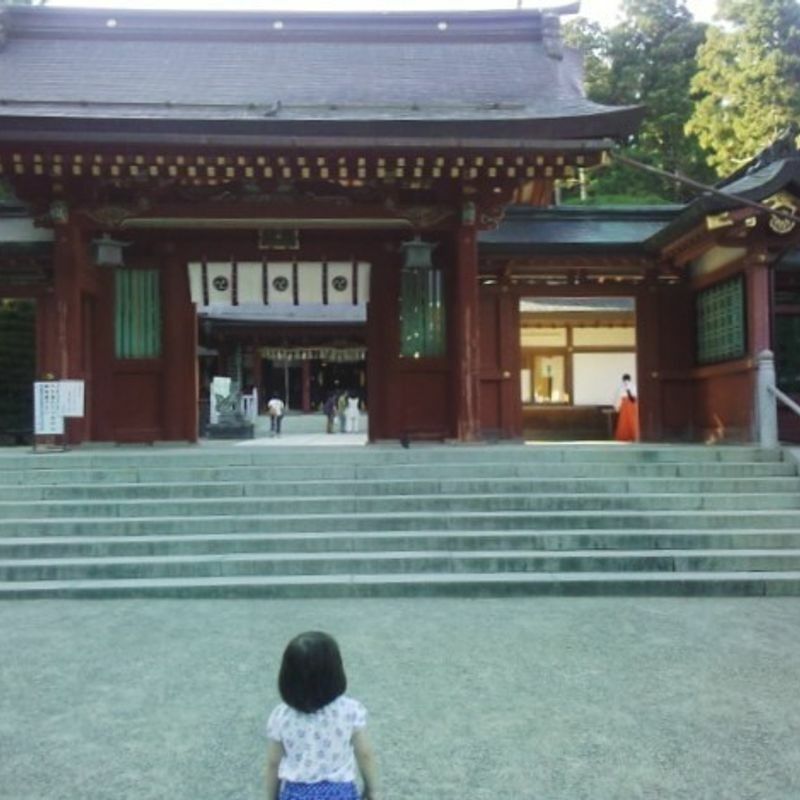 I hope you enjoyed our walk to Shiogama Shrine and take it upon yourself to come out and visit us this summer. It really is a gorgeous place.